Anti-euro economist Paolo Savona, whose candidacy as new economy minister was vetoed by President Sergio Mattarella, as well as newly-appointed Economy Minister Giovanni Tria, has said that Germany should withdraw from the Eurozone to let it recover from constant financial conflicts. 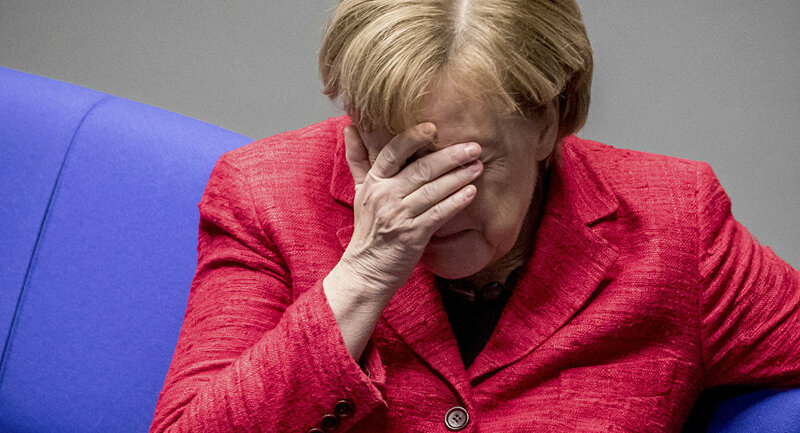 Two Italian ministers attacked German Chancellor Angela Merkel by saying that Germany's potential exit from the Eurozone would bring the monetary union more benefits than Italy's possible withdrawal. "It's Germany that should ditch the euro because its economy's growing surplus is not compatible with the fixed change rate regime regulating the Eurozone," Italian anti-euro economist and current minister of European affairs Paolo Savona said, cited by the Daily Express. "Or, at least, it should accept to move to a system that accepts changes to the rates," he added. The newly-appointed economist Giovanni Tria supported his point of view, saying that he "fully agrees," adding that his opinion is based on a "serious economic analysis." "German economy's growing surplus shows that monetary expansion, without a policy that aids economic convergence between the various countries, merely fuels an imbalance that puts us in conflict with the rest of the world," he argued. The statements came just a few days after the country's president, Sergio Mattarella, rejected the proposed cabinet due to the candidacy of Paolo Savona for the post of economy minister. According to the president, Savona's views on the EU's monetary policy could "threaten Italy's membership of the Eurozone." On Thursday, lawyer Giuseppe Conte, who currently heads Italy's anti-establishment government, renewed his picks for the new Italian cabinet. Instead, Giovanni Tria, an economics professor, was chosen to head the Ministry of Economy in the new government. Earlier, German officials had expressed hopes for the formation of a stable and pro-European government in Italy. However, the country's new governing coalition, formed as result of the parliamentary election on March 4 and made up of the anti-establishment 5-Star Movement (M5S) and the right-wing League, seems to be far from what they wanted, as both parties pursue a highly critical stance of the EU and the Eurozone in its current form.